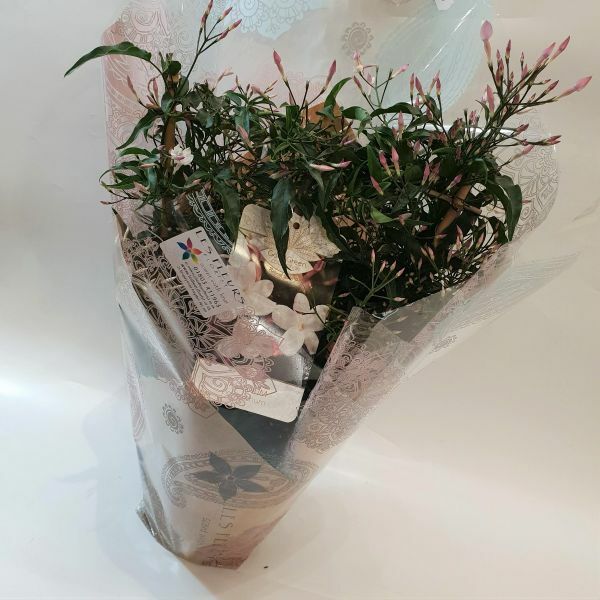 Stunning scented Jasmine Gift Wrapped Plant - great for inside the home or outside! A plant gift is the perfect long lasting present for your green-fingered friend! Send as a house-warming gift or just to remind them that you are thinking of them. An interesting foliage plant or a flowering pot, either way they are dressed to impress and your recipient can enjoy watching them flourish! Please note, individual plants vary with their own characteristics, therefore the shape may vary to that shown. Each and every plant send by us is hand-picked by our expert florists from only the very best growers. If your recipient is less than truly delighted with their gift, please let us know straight away and we will do our very best to put things right.